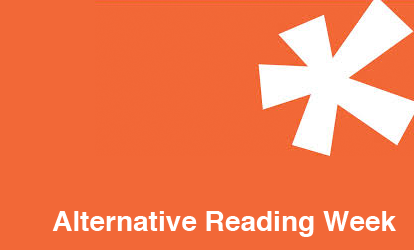 I spent most of my Friday last week at the Orientation for Alternative Reading Week! I went into it not really knowing what to expect, but it was really fun to meet my teammates and let me appreciate yet again how many intelligent and interesting people there are to meet at UofT! Sounds pretty cool, right? All I know as of now is that my teammates and I are going to be given the opportunity to explore a problem/challenge impacting the UofT student experience and use Human Centered Design Thinking to combat it. I’m going to be chronicling my experiences and writing a blog post about it after reading week is over, so watch out for that! During the actual orientation, we didn’t really focus to much on our projects but instead covered the ground needed to prepare us for the work ahead. There were workshops and presentations about how to go about community-engagement successfully, stressing the importance of forming genuine connections with people when you’re working with them and realizing the multitude of ways that they are helping you and teaching you in turn. There was also a workshop on equity, which I also really enjoyed because stirred up some really interesting conversations about social justice and problems that marginalized groups endure in society. All in all, it was a really good experience and definitely got me hyped up for ARW! Stay tuned. Next Post Woes of Graduation: Whoa, Graduation?